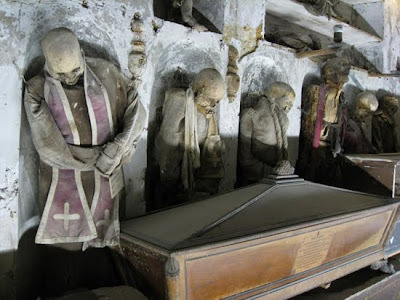 The Capuchin Catacombs of Palermo is a series of crypts excavated in connection with the old monastery cemetery. Most of the bodies buried there were mummified. The first mumy to be buried there was brother Silvestro of Gubbio in 1599 AD. Later many people of high status were mummified and placed in the tomb. The mummies were well taken care of for as long as their relatives kept giving donatins to the monastery. One of the last, and also one of the most famous mummies buried in the catacombs, is the two years old Rosalia Lombardo. She was buried in 1920 AD and is very well preserved. All toghether there are about 8000 mummies are buried in the catacombs. The catacombs are open to the public, but no pictures are allowed. 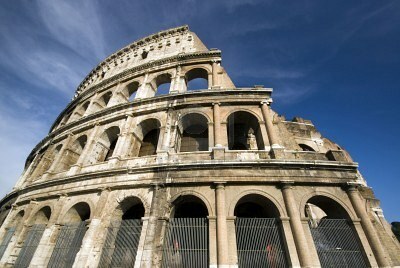 This almost 2000 years old arena was completed in the year 80 AD. When it was in use it could hold about 50.000 spectators, making it a huge arena even for today's standards. The characteristic crack in the wall was created during an earthquake in 1349 AD. 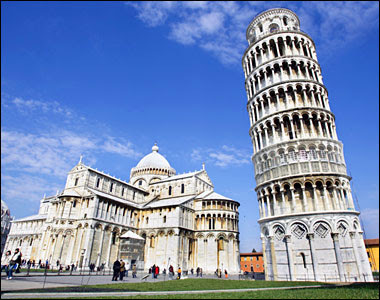 The Tower of Pisa is the bell tower belonging to the cathedral in the same city. The high side is almost a meter higher then the low side. It is leaning over because the ground foundation is sofeter on one side then the other. Between 1990 and 2001 work was made to reduce the tilt from 5,5 degrees to 3,99 degrees. 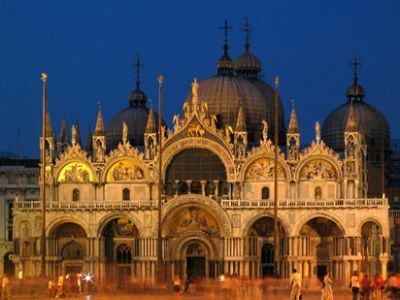 The Patriarchal Cathedral Basilica of Saint Mark, also known as the Church of Gold, is located in Venice. It was built in the 11th century, on the site of a former church, as the Doge's chappel. Today it is the seat of the Pathriarch of Venice. Over the years it has been greatly altered and there has been many contributions to the decorations. However, it still is one of the best excamples of Byzantian architecture. Both the exterior and internal decorations are breathtaking.